Stephen Dantes collaborates with the Saint Lucian chapter of CYEN (Caribbean Youth Environmental Network), to produce a spoken word peace that sensitizes the world on the present and future effects of climate change. 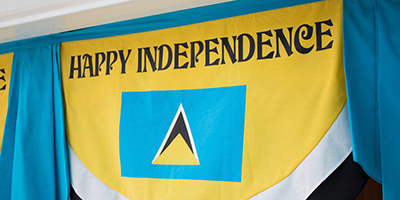 Stephen released two poems accompanied with videos in commemoration of Emancipation in St. Lucia. Both are available on Youtube. You can also access below. I do apologize to all persons awaiting the launch of www.luciastandup.net. We have encountered difficulties beyond our control. We are therefore postponing the Jazz2014 launch. To artistes already signed on the Digital Music Store, that too is postponed. Today, I found out that when your website hosting company says to you that your host is expired, they reserve the right to delete all files off their server in ONE WEEK without informing you. One darn week. 1 week. Yes, uno week. Not to mention, if it stays inactive for a month, they probably go all DOJ of you. So today, I’m transferring all domains to a different company. To #Hostmonster.com services, and all affiliated, I will subtly and graciously, NEVER use your services again. 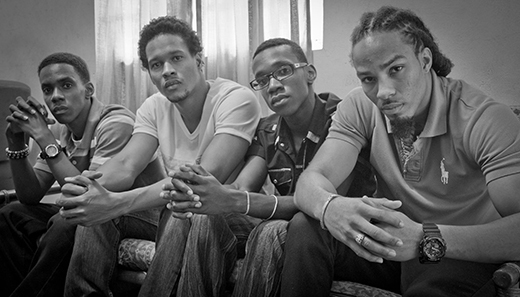 After their debut performance on Radio St. Lucia one week ago, miscellaneA gets ready to hit the stage for the first time. The public who have been hearing the track ‘Freedom’s Voice’ with which the group was launched on February 20th, 2014, will get to see who the group miscellaneA comprises of. Adrian ‘Drii Notes’ Klein, Alex ‘Sawlty’ Klein, Arnold ‘AJ’ Jules and Stephen A. Dantes are four young men that will definitely stand out at their debut stage performance at the Saint Lucia Aid Concert, at Samaans Park, as they will contribute their talent and skills towards raising funds for the St. Lucia Red Cross, to aid the affected persons of the Trough of December 24th, 2013. This group has been getting rave reviews from radio personalities and from a fan base that they are already starting to build in such a short space of time. Positive lyrics, great vocals, creative musical arrangements, are what would describe, what the public should expect from miscellaneA. A music video is in the works for the hit track. After a disappearing act altogether from the man himself, Stephen started appearing on stages at different venues in St. Lucia, 2014. The latest on him this month; Stephen with his new music group finished their first track in studio and are releasing for independence. HE also recorded two live performances for the DBS Television and was featured on the 90-minute show, Dolor Factor on DBS, with host Delia Dolor, alongside St. Lucian singer/songwriter, Michael Robinson, February 13th. Stephen was busy at the Castries Central Library on Wednesday 19th in the company of some of St. Lucia’s seasoned writers like Kendall Hippolyte, spending some time with fans, reading, performing and reaching out to the community ahead of the country’s 35th Independence celebrations. ON Saturday, February 22nd, Independence Day in St. Lucia, Stephen joins the celebrity list of artistes performing at the gala event at Beausejour Stadium in celebration of the country’s 35th independence. Activities include a culinary cookout in celebration of St. Lucia’s Nina Compton coming second on America’s Top Chef finals, Jèté Dance Competition finals, and a lot more. The entire island is invited. So be there. February 2014, Castries, Saint Lucia – On the brink of Saint Lucia’s 35th anniversary of Independence, Jackie O presents ‘miscellaneA’! 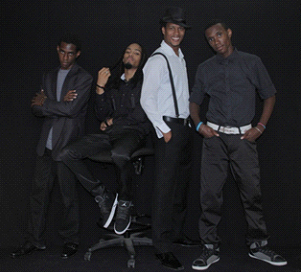 As described by their name, the new group miscellaneA is a group of young men with varying talents in their own right. This group includes Alex ‘Sawlty’ Klien, Adrian ‘Drii Notes’ Klien, Arnold ‘AJ’ Jules and Stephen Dantes. After working with each of them individually and recognizing their talents, Jackie Cherebin-Weekes of Jackie O. had a vision of them combining their talents to create a distinctive sound. She encouraged them to come together and the first meeting was explosive as they instantly hit it off. Since then, they have been working assiduously on creating musical sound beds and lyrics of spoken word, poetry and song. These versatile and talented artistes, pride themselves on writing, composing and arranging their own music and together blending poetry, spoken word, rap and hip hop. Their short term goals include a video production of their track ‘Freedom Voices’ and to continue working on new material to perform at the 2014 Saint Lucia Jazz & Arts Festival. Jackie O. envisions miscellanea as a group that will inspire the younger generation and act as role models for those that aspire to partake in the arts. We do apologize for the breakdown in service recently and the lack of information coming from the news section. We look forward to keeping you informed and up-to-date with what’s going on with Stephen. 1. The latest poem released by Stephen is Political Slaves. 2. Summer performances in North America were cancelled for family emergency reasons. 3. US performances for this year to be announced . 4. New eBook entitled, Picking Up The Pieces, to come this year. I just want to say thank you for listening to my plea. I don’t know if you read my letter (Letter to Microsoft). And frankly, it doesn’t matter if you did or did not. What matters is that you listened to our voices and you changed your policy. News came to me via your portal (Xbox Wire – ONE update). Now, I feel comfortable with purchasing the ONE. I will still be monitoring further changes in policy, for example, “Backwards Compatibility”, and will be purchasing my console this holiday season. I’m looking forward to playing Battlefield 4 and Call Of Duty Ghosts. 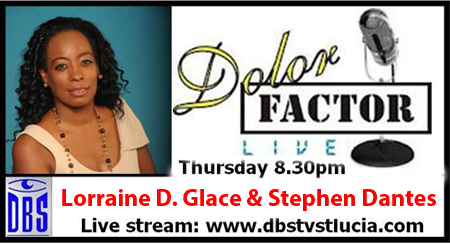 Join Stephen A. Dantes and Lorraine Debra Glace, this Thursday, Valentines day, on Dolor Factor Live with host Delia Dolor as they talk about LOVE. Come join Stephen A. Dantes on stage at Headphunk this month in celebration of Saint Lucia’s independence. 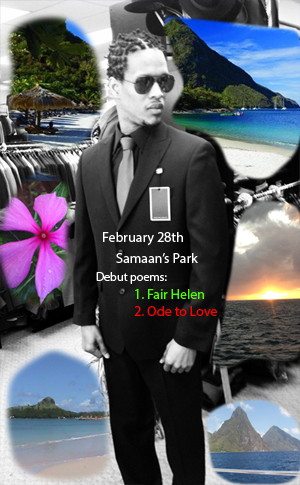 Stephen should be performing two new poems, Ode to Love and Fair Helen, both available for reading on his website. Stephen is revising the first novel and will be publishing a revised edition soon. As such, he has issued the first 6 revised chapters for you to download freely. Not 4, but 6. DOWNLOAD FREE CHAPTERS HERE. We are positive that you will want to read more if you have not read the novel as yet, so be sure to check out the page to purchase your copy HERE. When you are done, please share with your friend. Also, there is a code in book one that will allow you to read bonus chapters from second novel. So don’t be left out. Get yours today. January website stats is out and we just want to say thank you for supporting Stephen. With an average of over one hundred and sixteen (116) daily visitors, the month of January brought 3612 website surfers from all over the world. From that total, 222 visitors spent 30 minutes to one hour browsing and reading Stephen’s works. 47 visitors spent over an hour on the website. 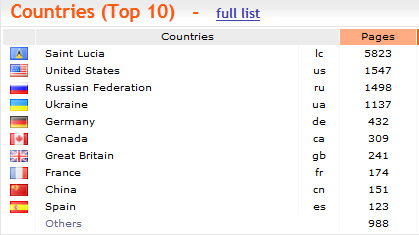 We want to take this opportunity to thank EVERYONE who showed and continue to show their support, especially surfers from Saint Lucia and the United States of America for their combined total of over 7000 page views. We will wait until the end of the year (Dec 2013) to post website statistics. 1. Stephen just finished the 4th comic strip so be sure to check them all out by clicking here. 2. The graphic design for the cover of the second novel, the sequel to Is it Love?, will be unveiled on Nobel Laureate Day, January 23rd. Look out for that. Graphic designer, Gretel Fenold of GGraphics Company, did an excellent job on of capturing the essence of the story. 3. The eBooks will retain the price of 99 cents throughout the first quarter of this year. Be sure to check them out. 2013 ushers in promise and purpose. We would like to thank everyone who supported Stephen A. Dantes in 2012. To those who own a copy of his novel, Is it Love?, we are please to tell you that two chapters from the second novel is available for download on the website. Use your code at the back of your book. 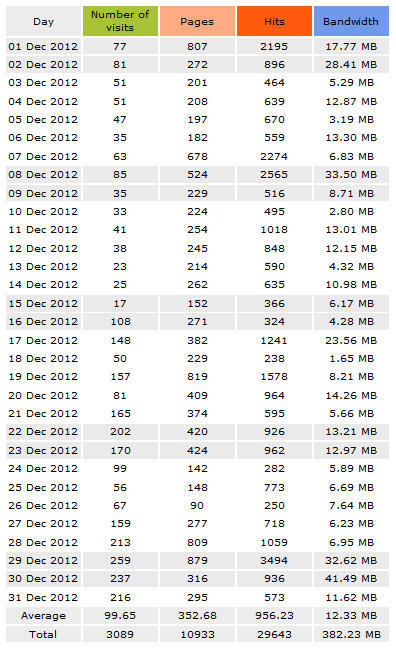 Website visits for 31 days in month of December. Average of 99 visitors per day. Just wanna thank everyone for the continued support over the years. 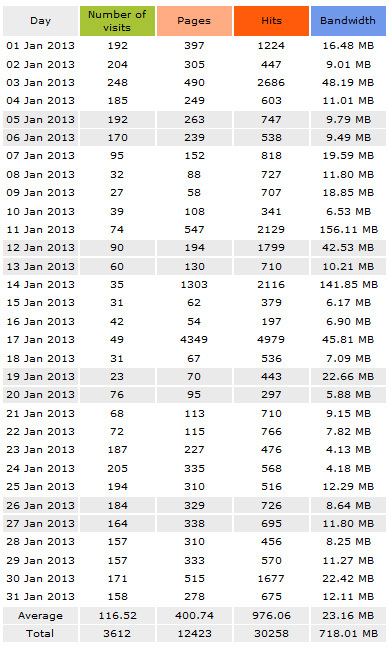 December 2012 saw an all-time-high record visits to my website. Have a Happy New Year and be sure to include God in your resolution. I have a gift for you this year end. Possibly my best and last love poem, ODE TO LOVE is now on my website for your reading pleasure. Do hope you find as much joy reading it as I did writing it. Once again, thanks and CLICK HERE for poem if you can’t access the above link. Also, for your viewing pleasure, I have added my 2013 tour poster on website. Click Here to view it. Two new eBooks were added to the December collection to end the month of eBook madness. They all are priced at 99 cents along with the others. Be sure to get you copy HERE. Remember, there is a free Kindle app for your Blackberry, Android, PC, iPod, iPhone, Mac or iPad. All you need to do is download the app HERE and install on your device. Next go over to Amazon and search for Stephen Dantes’ books or click HERE go to directly to the bookstore on his website. As promised, you are now receiving two excerpts from two chapters of the second novel; sequel to, Is it Love? – a triangle gone square. Sequel answers all questions that you have.